One of the most important things to keep in mind about many ancient sources is that, frequently, they were written many years after the events described in those sources. This leads to two things: the event described will be flawed in some way – possibly a large way – and the narrative will tell the reader as much about the time of the author as it will about the event in question. Polybius hung out with some pretty powerful people. How do you think that may have affected his work? A good example of this are two accounts of the Battle of Cannae and its aftermath, provided to us by Polybius and Livy. 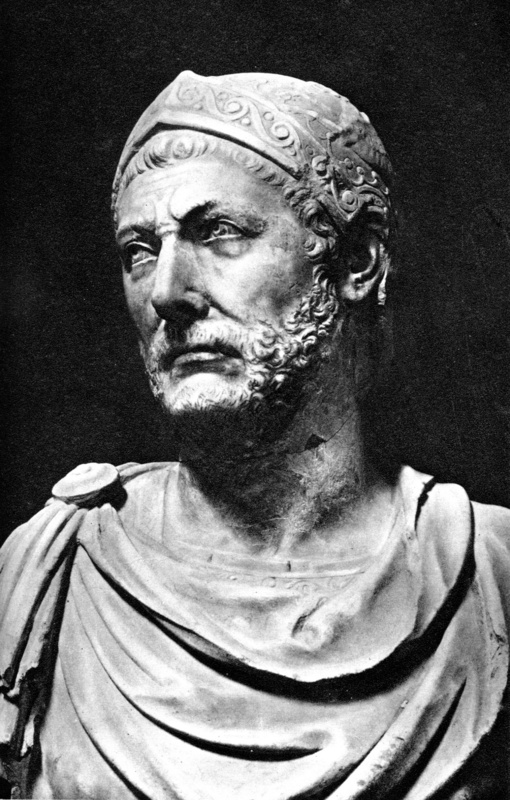 In each historian’s narrative, they rightfully praise Hannibal’s tactical brilliance and describe him as a legitimate danger to the existence of Rome. I think that Hannibal’s tactical achievements stand for themselves, and would be apparent no matter who tells the tale. I also think that even though Polybius and Livy contribute to his legend, they do so in a way that speaks for the glory of Rome. By painting Hannibal as a terrible and cunning opponent, Polybius and Livy cast the Roman Republic as a determined and unbreakable entity that can withstand a threat like Hannibal, take on any challenge, and stand the test of time. 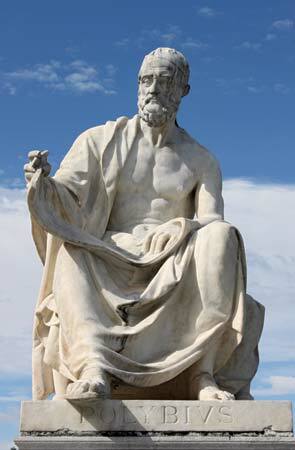 Both Polybius and Livy had personal connections to powerful Roman aristocracy. Polybius was the tutor of Scipio Aemilianus, the grandson (by adoption) of Publius Scipio Africanus, the hero of the Second Punic War. Livy frequented the court of Augustus Caesar and was known in the halls of power at the time. Being close to powerful people, neither writer is motivated to paint Rome as easy to defeat, or the victory over Carthage as anything but a glorious act of national willpower by Rome. Praising Hannibal is in line with this notion. After all, who could defeat the terrible and brilliant Hannibal but the more brilliant and resourceful citizen-soldiers of the Roman Republic? Both Polybius and Livy were writing large-scale histories of the Republic. In telling the story of Cannae and the ravages of Hannibal upon Italy, ultimately their focus is on Roman fortitude and determination – the unbreakable Roman character. Because the Livy and Polybius make sure the focus is in the proper place, on the glory of Rome, it becomes safe to praise Hannibal. By the time Polybius and Livy wrote their histories, the Carthaginian leader and all his people had long been vanquished. The city of Carthage itself lay in ruin, never to revive. What harm could it do to praise a valorous enemy, who threw his best punch at Rome, but still could not finish the job? Over the years, the Roman defeat at Cannae remains more famous than the Roman final victory at Zama, where Hannibal ran for his life and lost tens of thousands of men. Why? The Roman victory at Zama ended in a peace treaty. There’s nothing more to say after that battle, which ended the Second Punic War. Cannae, however, is not the end of the story. It’s the high point of the story, in which Rome’s survival is hanging in the balance. Enter the final act, in which Rome recovers and a hero, Scipio Africanus, emerged. Polybius and Livy take the opportunity to cast Hannibal as the tactically brilliant but doomed villain, who defeated the soldiers of Rome, but not the spirit of Rome. There are more factors that come into play than just Roman moral fortitude, but it’s interesting that the writers choose focus on this. As an institution, Rome was always very concerned with its image, both to its own people and to people outside of Rome. It was important for the people of Rome to feel as though they came from good stock, that their ancestors were morally righteous and virtuous, worthy of the ancestral veneration practiced in their homes and in the Senate. Livy and Polybius acknowledge that need with their writing, which elevates the idea of Rome. But the nitty-gritty of how Rome won is another story. The GOAT of transcontinental road-trips involving elephants. Keeping an invasion force well supplied deep into enemy territory was quite the challenge for any nation in the ancient world, but for Hannibal, it was almost a worst-case scenario. Hannibal’s only hope for resupply would be what he could forage from the countryside or wiggle out of Rome’s shakier Italian neighbors. For supplies to come from Carthage, they would have to come the same way Hannibal came, over the Alps. The sea wasn’t an option. Rome had control of the Western Mediterranean at the time (thanks to the First Punic War), and surely if Hannibal could have launched his invasion by sea, he would have done so. Resupply would have been essential in a protracted siege of Rome, which had walls, manpower and, most importantly, river access. Perhaps Hannibal’s best options, strategically, were to either force a political settlement to end the war, or find a way to rally the Italian cities and countryside against Rome. Communication also played a vital role. It was much easier for Rome to communicate the will of the Senate to its people and nearby allies than it was for the Carthegians to coordinate strategy with Hannibal, across a sea that they did not control. Surely, if we can see the difficulty/near impossibility of capturing Rome in this scenario, then Hannibal himself could as well. Is it possible, then, that Hannibal underestimated Roman resolve? In that case, the mistake would have been in assuming that the Romans thought like everyone else did. They clearly do not. That was one tough town, and it is a culturally unique element of Romans. The uniqueness of Rome – the things that make them exceptional – are the traits that the people of Rome celebrated most about themselves, and wanted to hear most from their writers and see from their artists. Busts, statues, arches, triumphs, celebratory games, theater, legends, and histories were all dedicated to their city, its heroes and its ancestors. It’s quite the multimedia public relations machine. The extent to which Livy and Polybius contribute to that machine is worth much consideration. Polybius: The Histories II, W. R. Paton, trans., (Cambridge, MA: Harvard University Press, 1979), 293.